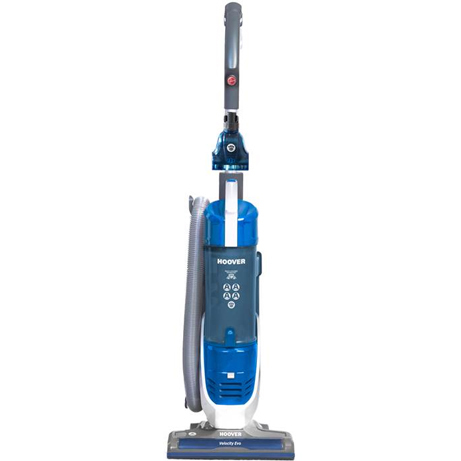 Take the hard work out of house work with this bagless upright vacuum from Hoover. 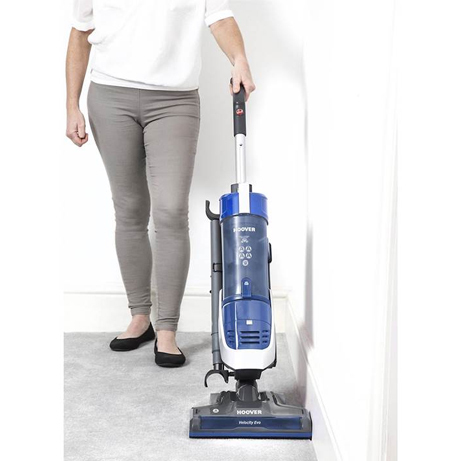 This model gives fantastic results on both carpets and hard wood floors, which means you can clean every room effortlessly. 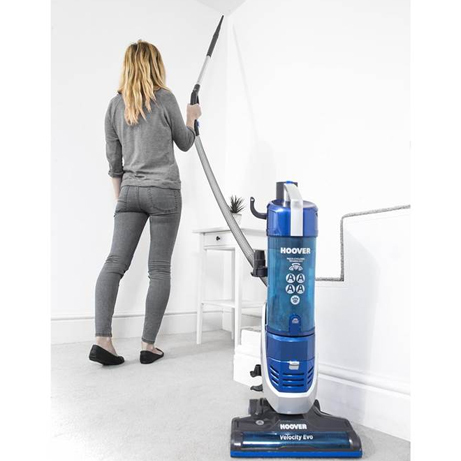 The clever Intellicare technology reduces the power output of the brush bar when the vacuum is stationary, so your carpets are protected. With the handy crevice tool, you’ll be able to reach all those hard-to-reach areas like under the sofa or along skirting boards. It has a turbo tool too, which is great for lifting tough ground-in dirt and pet hair. 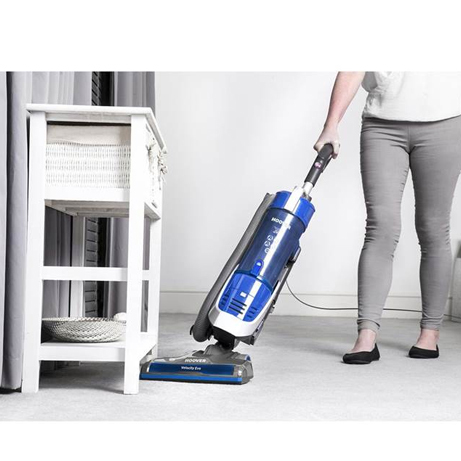 This is a lightweight and maneuverable vacuum cleaner, achieving outstanding A and above ratings across energy, hard floors, carpets and emissions. 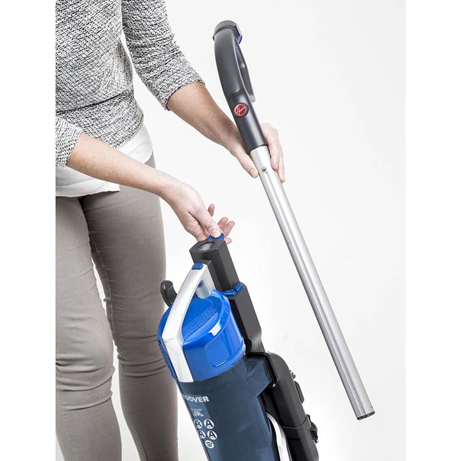 Multi-cyclonic, it has a removable handle for cleaning above floors, HEPA filtration and a powerful pets turbo brush to make light work of your cleaning. 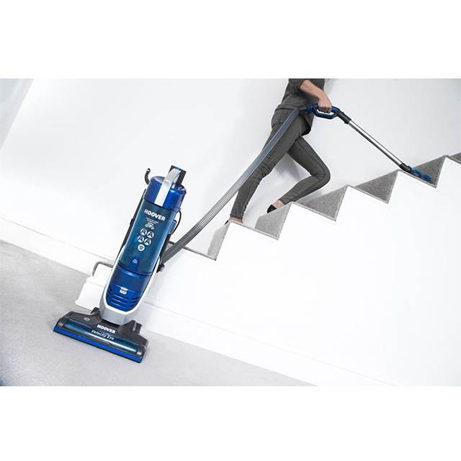 Velocity Evo excels in every department, achieving the best possible ‘A’ ratings for dust pickup on hard floors and carpets, as well as an A+ for energy efficiency. With A class emissions and HEPA filtration, less than 0.03% of dust is emitted back into your home, making it a good choice for allergy sufferers. 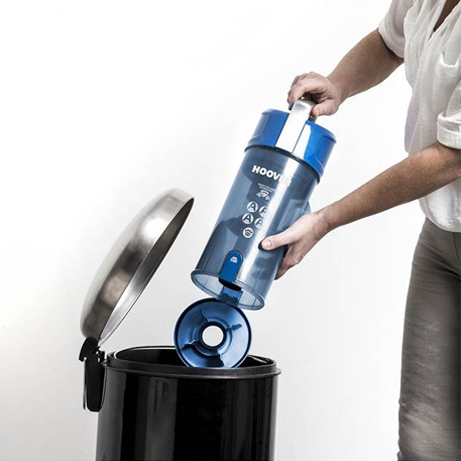 Featuring advanced dust separation technology, Velocity Evo allows you to clean for longer before needing to stop and wash the filters. 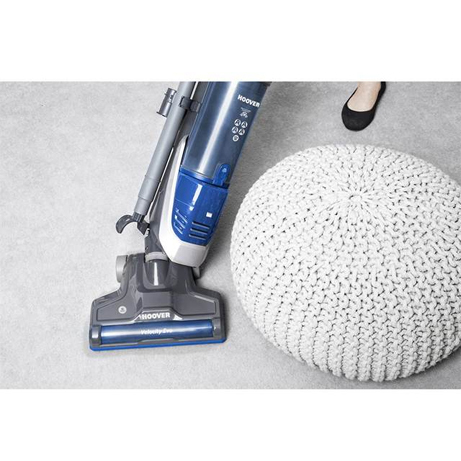 A selection of tools are included to help you tackle vacuuming tasks all over the home. These include a crevice tool and dusting brush for vacuuming a range of surfaces, as well as a long extension tube. All tools are conveniently stored onboard. Velocity Evo comes with a powerful pets turbo brush to effectively loosen and lift stubborn pet hair. 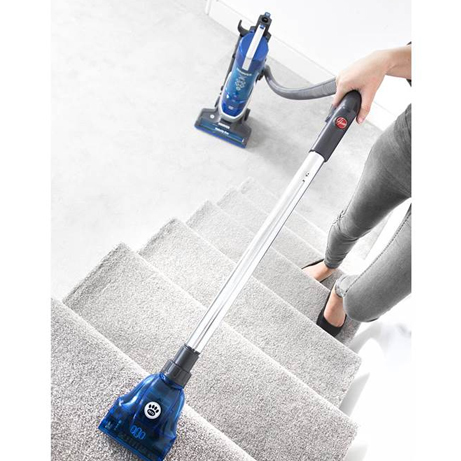 This is a great tool to leave your stairs, carpets and upholstery beautifully clean and hair-free.